With thanks to Nancy Wadsworth for providing the photographs. Robert (Bob) Heaton, Poet and Willie Green of Holmebridge Sutton. Mrs Albert Spencer and children Dorothy and Evelyn. 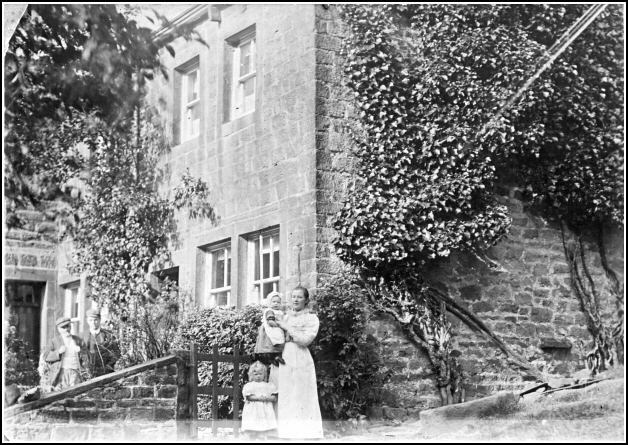 Taken at Delph House circa 1906. Overlooking Sutton Clough taken early 1900s. Elder lady Mrs Ellen Baxendall occupier (Widow) formerly Mrs John Spencer nee Hargreaves. Young lady Mrs Albert Spencer nee Barker who lived with Mrs Baxendall and her son Albert from their marriage July 1900 until taking up the tenancy of Knowle Court Farm nearby in 1909. Which tenancy they retained until 1954. 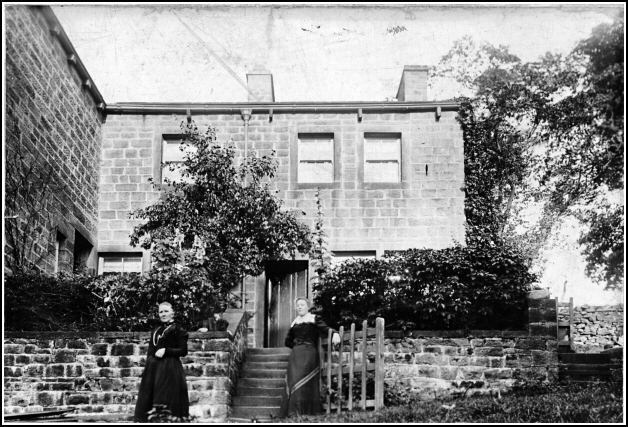 In the cottage (right hand side) lived a much respected bachelor named Robert "Bob" Heaton who had a small volume of his poems of local places and events published.